A recipe from Anna Ova in which she uses greensweet liquid stevia. - 100 gr Peanut butter 100% natural! (with bits) Nowadays available in most local supermarkets. Au-bain-marie: Put the peanut butter, honey, vanilla essence, coconut oil and stevia drops in the same bowl at the same time and let it soften. Then add the oatmeal and coconut grater. Put them on a tray or on a plate. Then you can put them in the fridge for a few hours. Does not necessarily have to. So it is already delicious !! 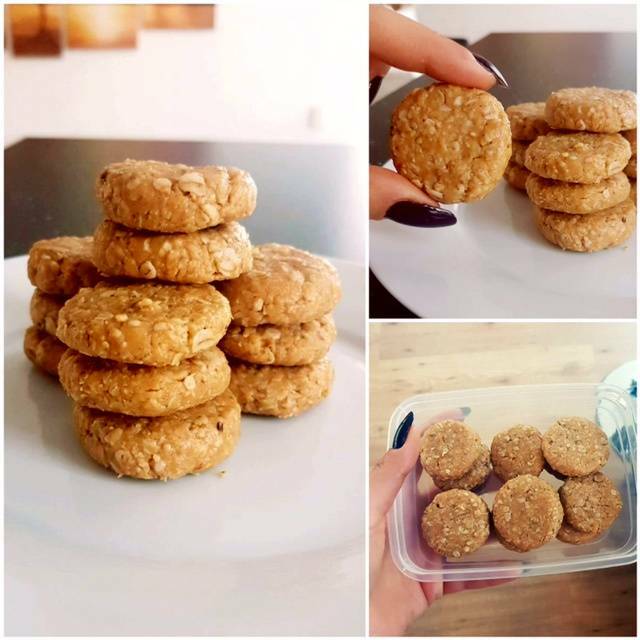 The small advantage is that if you put them in the fridge, the cookies get a harder and better structure> is because coconut oil solidifies under 23 degrees. You get about 12 cookies here. Tip: Please note that you do not eat too many of these cookies in a row. Because of the peanut butter they are calories!